at 220 W. Dumplin Valley Rd., Kodak TN 37764. Great Smokies Flea Market History! During the nineties Charles E. Atchley, Atchley, owned a few small eateries in a Sevier county mall. The mall generated high traffic but at the expense of a high overhead. “If I could produce this same customer traffic without this huge overhead that would really be something!” Atchley thought. Then it hit Atchley, “An indoor Flea Market – a cross between a mall and a flea market!” Although inside flea markets were rare at the time, Atchley charged ahead with the idea. The overhead for vendors would be just a small percentage compared to that at the malls. It would have to be located close to a busy interstate and a strong destination draw. Atchley found 27 plus acres of farmland in Kodak close to one of the busiest interstates in the country at exit 407 off I-40. Exit 407 leads hundreds of thousands of visitors straight to the Great Smokies National Park. The farmland was the perfect location. Originally, the market had 240 inside booths and maybe ten outside spaces. But, “The first year or so probably 60 booths were empty!” Atchley later laughed. The market had one restroom for women and one for men, one restaurant and that was about it! In the early days the market averaged about 1000 shoppers a week-end. 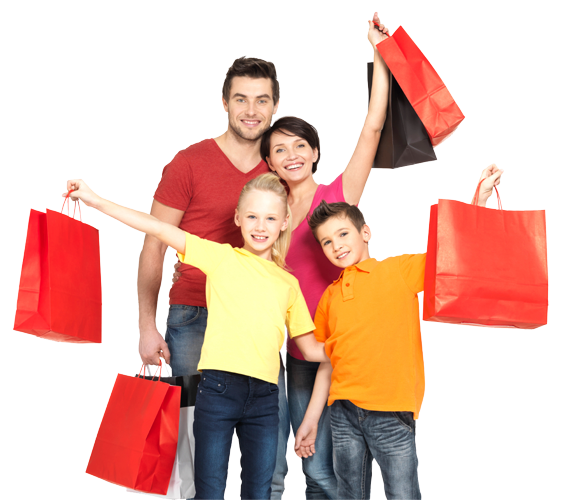 Today the market enjoys a yearly average of 15,000 shoppers per week-end. Over the years additional property was added, a pizzeria, several restrooms, and more square footage, an additional building, outside pavilions, paved parking and much more. Wi-Fi was made available in 2012. In certain areas EBT began being accepted. Where Is Great Smokies Flea Market?